Glass & Glazing Systems Pvt Ltd is the only manufacturer of Tempered/ Toughened Glass and Insulated Glass Unit (IGU) in Kerala. The first plant of its kind in the state was established in the year 2003 with imported Tamglass tempering line. 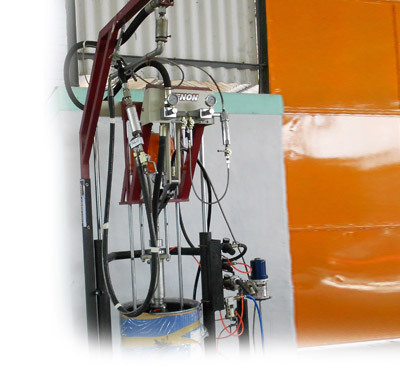 The company is located in Kochuveli Industrial Estate Trivandrum, Kerala. Customer focus, Customized Solution provider, �delivering tomorrow�s technology today� & dedicated human resource capital with inclusive growth are primary factors for our success, & these attributes have made us a major player in the market. 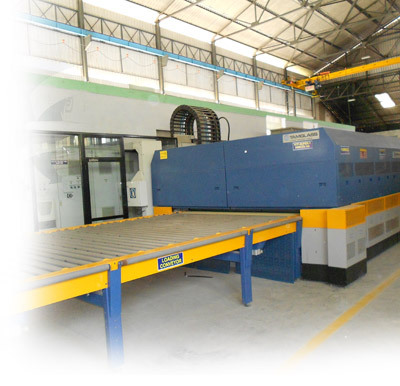 Facilities in the plant include dedicated stocking bay for unloading, Mechanized handling of glass automated CNC cutting line from Bottero Italy, Polishing and Drilling machines from Vitrododi Italy, state of the art IGU line from Tenon Korea, and most advanced Dual process Tempering line from Tamglass Finland. 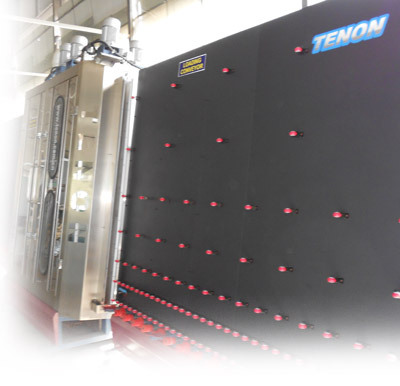 The tempering plant is capable of tempering 650 sq meter of 12mm thick glass per day. The fixed asset of the company amounts to about INR 100 million with an annual production capacity of 2 million mm-sq meter. The production line is supported by a fully computerized ERP system, for optimum efficiency. The company owns a substation and 1000 KV diesel generator back up for uninterrupted power. The company has its presence felt in Kerala, Tamil Nadu and Karnataka. 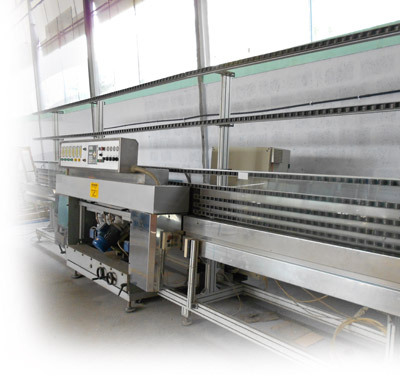 Various factors like wind pressure, glass thickness, human load, aspect ratio, glazing type etc. needs to considered before selecting the safety glass. Below given are few standards available, which can be referred to correctly select the safety glass. IS 875: Codes for wind loads. ANSI Z 97.1 1984 (R1994): Safety Glazing Materials-Used in Buildings-Safety Performance specifications and methods of tests. The type of glass you choose is directly dependent on the application you are looking at and the level of performance you require from the glass. It is important to list what all you want the glass in a particular application to do. Aside from providing transparency, solar control, sound insulation and safety are some other criteria you may be looking at. Load and support conditions are important factors that determine the type of glass to be used. Toughened glass is the only choice of the doors and glass assemblies on patch fittings and bolts, as it is the strongest type of glass. Next in strength comes heat strengthened. The strength of laminated glass is the same as that of a single glass of total thickness. Safety here refers to whether or not the glass holds when it breaks. 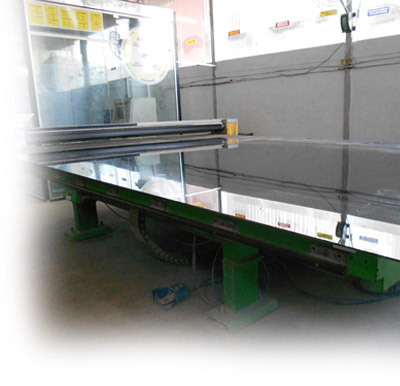 Normal annealed glass and heat strengthened glass are not regarded as safety glass. The critical thing here is to recognize when a safety glass is required. The number of people using a building, the highest and length of the glazed fa�ade, the type of functions housed in a building, the seismic zone that the building is located in the extent of vibrations created by traffic or a nearby airport, the possibility of man-made disasters- all these factors need to be looked at to decide on the need for using safety glass. Choice of glass also depends on the amount of light you want to allow in the room. Tined and solar reflective glasses let in different amount of light depending on their tint, shading, coefficient, reflective coating etc. Clear float glass allow up to 85% of light. Tempering, heat strengthening, and double glazing do not affect light transmission properties of glass. Tinted, reflective or coated glass can be used for solar control .Reflective glass is the most effective and tinted glass provide a medium level of solar control. Most solar control coating work best when applied to the external surface of the building. Soft and medium coating cannot be positioned on the external surface .Any form of solar control will affect the amount of light that comes in to the structure. Almost 99 % of ultra- violet radiation can be cut down by using laminated glass. Deflection under load needs to be considered while choosing glass. Toughened glass used with minimal supports is more deflection limited than strength-limited. Glass does not burn but can crack easily in case of fire to prevent glass from cracking, it is toughened or heat is used to strengthen it. Laminated glass prevent fire from spreading by not falling from the frame .Three things need to be kept in mind while selecting the correct fire rated glass integrity , insulation and radiation control. Looks and visual appearance on site are important factors to be considered while choosing glass. To ensure that the glass you select for your building fulfils the purpose of protecting its interiors effectively, make sure that it is of the right thickness. Factors that would help you choose the right thickness include size of the window and the wind load on it. Till recently, a glass of 4mm or 5mm size was the norm and hence was manufactured on a larger scale. With time, however, a varied range of sizes was introduced primarily because glass had moved beyond its role of protecting and providing privacy to a construction. It is used for ornamentation as well and hence, you have glass in a variety of sizes and even shape As a result, there is a wider availability of float glass and better wind load calculations too. So now, glass needn't be unnecessarily thick or thin but can be calculated to suit your need. Selecting the right thickness is also important to guarantee that there are no breakages (leading to saving) and resultantly, better performance. Glass of the right thickness that adheres to the international norms of light transmission is also available. To calculate the thickness of glass that would suit your needs, wind pressures (which act on the glass and either push it into or pull it out of the building) in your area need to be figured out. Once the pressures are calculated, the thickness that would resist wind loads can be decided upon. Depending on the geography of the area, wind velocities can be quite varied. Also, the glass surface strength is not precise due to variation in humidity, load duration and surface weathering. So, a standard permissible breakage level of 1 piece per 1000 for 10 seconds wind load is chosen.